One man’s trash is another man’s treasure. 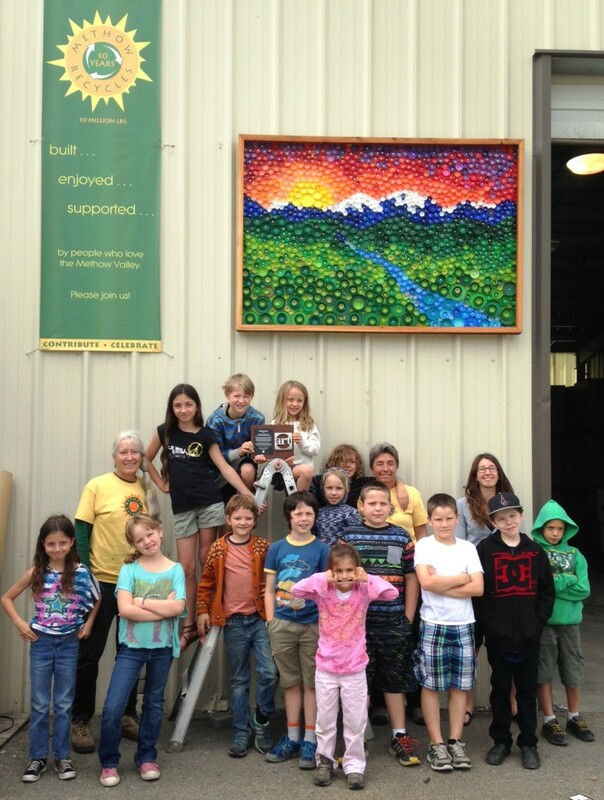 Students in the REACH homeschool program at Methow Valley Elementary School realized this as soon as they began collecting plastic bottle caps for an art project. 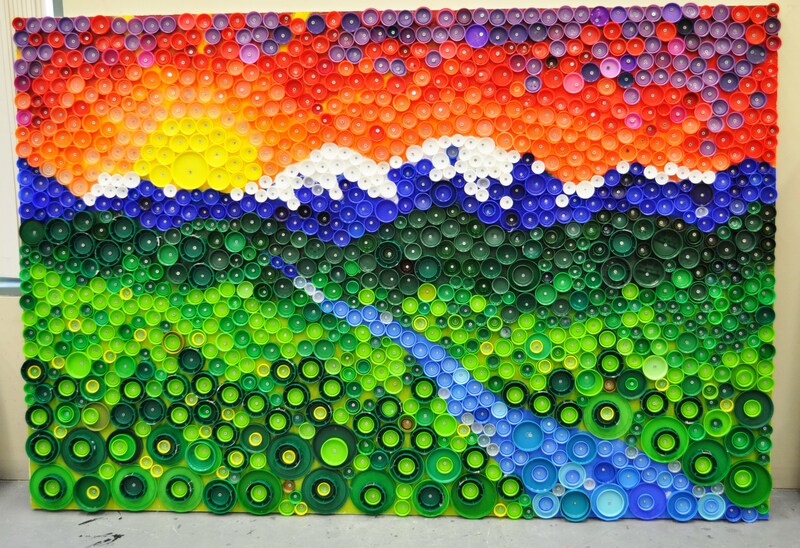 The bottle caps, which were used to construct two murals, were scavenged from the trash tub at Methow Recycles and saved from household waste bins around the Methow Valley. 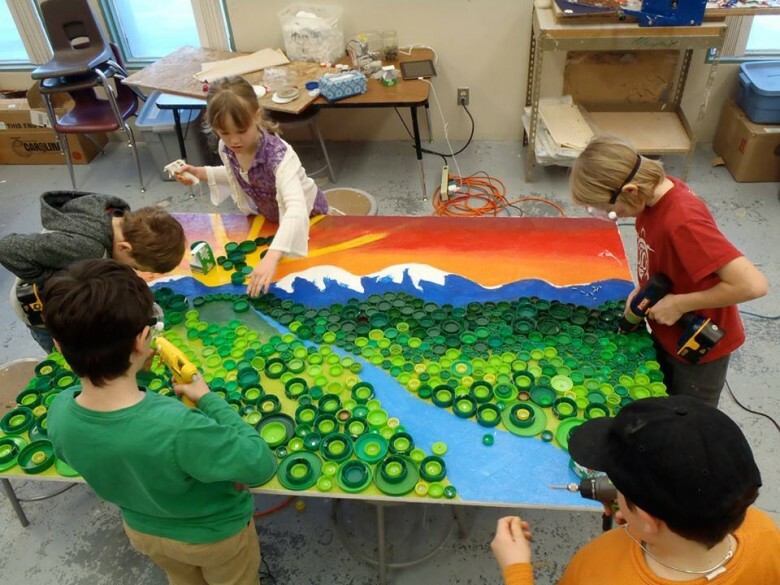 The mural was the brainchild of REACH coordinator Tirzah Quigley, who worked closely with teaching artist Margaret Kingston to help students design the two murals, one of which is installed at Methow Recycles; the other brightens the walls of the art room at Methow Valley Elementary. 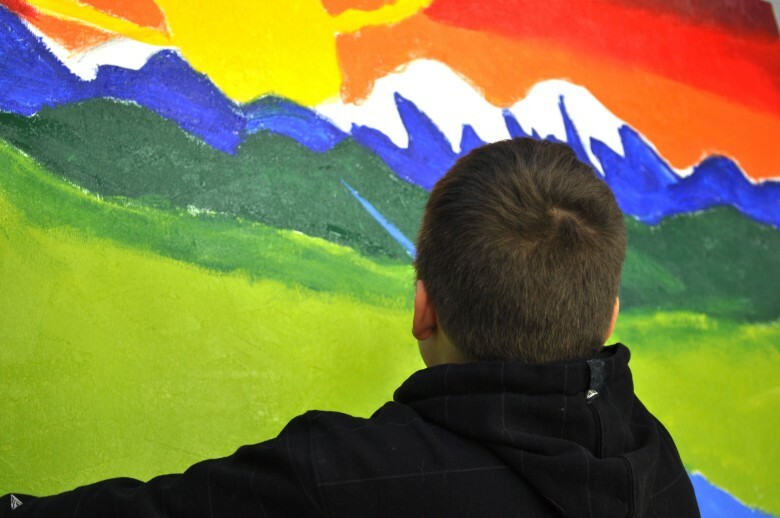 Once the design and dimensions of the murals were created, students calculated how many bottle caps of each color would be needed to complete the mural. 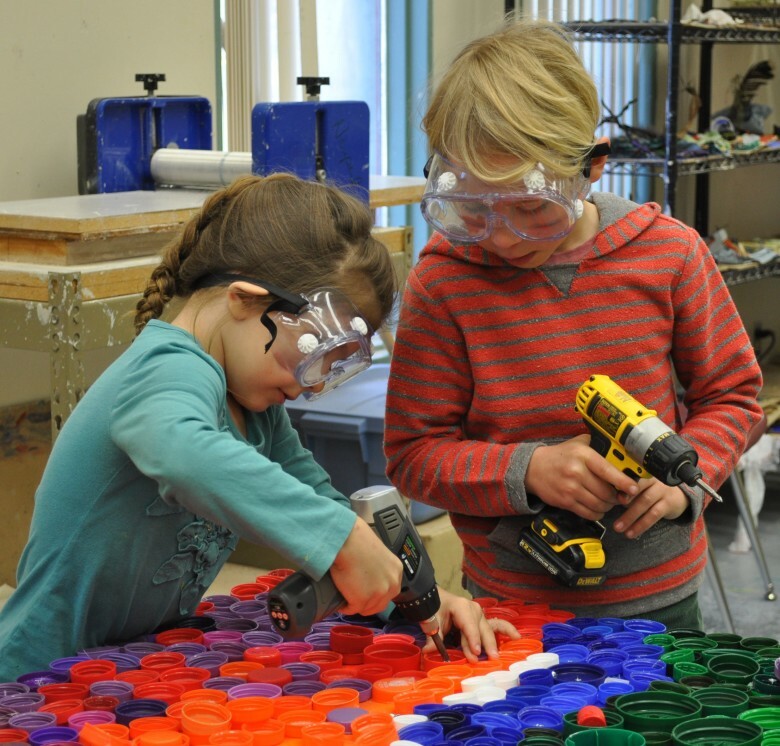 As bottle caps were amassed, students washed and dried them, and then sorted them into bins by color. 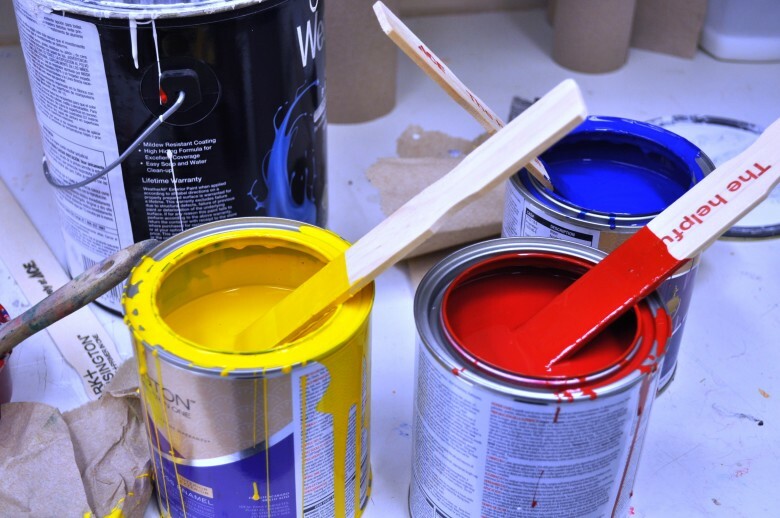 Once they determined that they had enough caps, students sketched out the mural designs on plywood and then painted the background in secondary and tertiary shades from the color wheel achieved by mixing the three primary colors: red, blue, and yellow. With the background painted, it was time to attach the bottle caps. 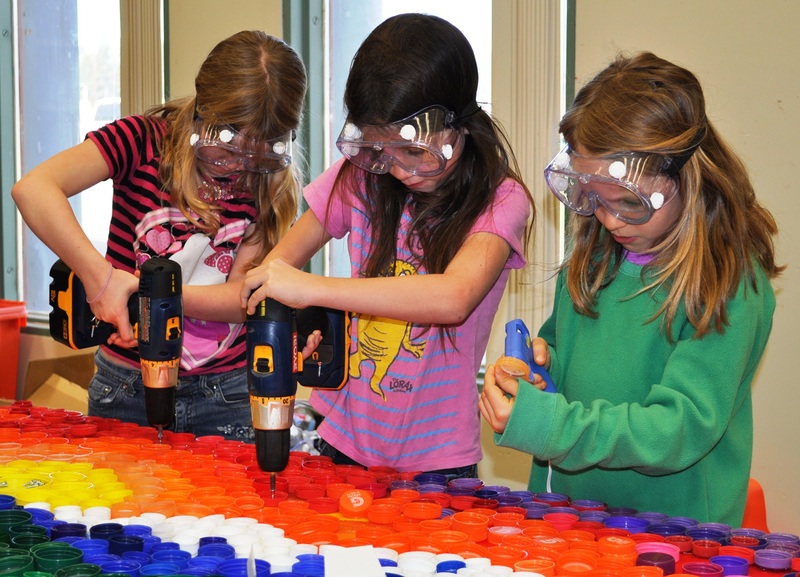 Students fastened each cap–and sometimes caps layered inside others–to the plywood with glue and a screw. (1300 screws were used!) When the caps were all secured to the plywood, the murals were complete, bursting with color and providing beauty in a way they never would have achieved at the bottom of a landfill.